Another NEW fantastic company with deep routes in the aftermarket industry, please welcome Mickey Thompson™. Talk about coming in hot and heavy, our initial load of products from Mickey Thompson was exactly that. Over 1900 tires were added to all our vehicles along with 4 wheel choices which accounted for over 180 SKUs. Industry staples such as the Classic wheel as well as their Sidebiter II. And on the tire side, every size offering from 17″ to 24″ on their tires including their Baja MTZ P3, ATZ P3, Deegan M/T, and Deegan A/T. Stay tuned as there is much more to come from this new vendor in Interactive Garage. If your attending the 2018 SEMA Show in Las Vegas, please go by and visit the great crew at Mickey Thompson at booth 43035 in the south hall lower level. They will have one of the Interactive Garage custom display stands in action showing their current offering. For more information about Mickey Thompson, visit them at http://mickeythompsontires.com, follow them on facebook, or call their customer service line at 330-928-9092. Yup, that time of year again where the industry packs up and heads to sin city to see all the glitz, glamor, new products, big vendor booths and how many light bars people can put on their project vehicles. Although we do not have a booth as Interactive Garage, the following vendors have their custom Interactive Garage software on display in their booths. Please stop by and say hello to these great vendors that support Interactive Garage and check out their custom programs. You’ll see various ways these vendors have the software in use from 60″ touch screen monitors to our custom display stand. If your interested in a meeting with one of our staff, we will be using the SEMA Members lounge for one on one meetings or where ever you would like to meet up. E-mail Ryan for meeting times and dates. Products keep trickling in slowly but surely for the JLU and JL. With that being said, Interactive Garage has the single largest offering of products from bumper to bumper than any other configurator online or for that matter we’d put our offering of JL accessories up against any retailer with a catalog or online offering in the industry. So, if you want to know what is available for the JL’s, your source for information is right here and available to you as our valued licensees of Interactive Garage. Rampage: Hood Catches, LED Light Mount, Rock Rage Front Bumper, Trailmod Guard Front Bumper, SRS Sidebar Rock Crawler Style, Rock Rails, and 3″ Round Bent Step. Rancho Performance Suspension & Shocks: RockGEAR Front & Rear Diff Glide Plates, RockGEAR Front Control Arm Skids, Dual Steering Stabilizer Bracket, Front Disconnect Sway Bar Link Kit, and Bump Stop Extension Kit. Fuel Wheels: Zephyr, Diesel, Cleaver, Tactic, Nutz, Maverick, Renegade, Throttle, Krank, Hostage, Trophy, Full Blown, Coupler, Vapor, Lethal, JM2, Vector, Recoil and Ripper Wheels. 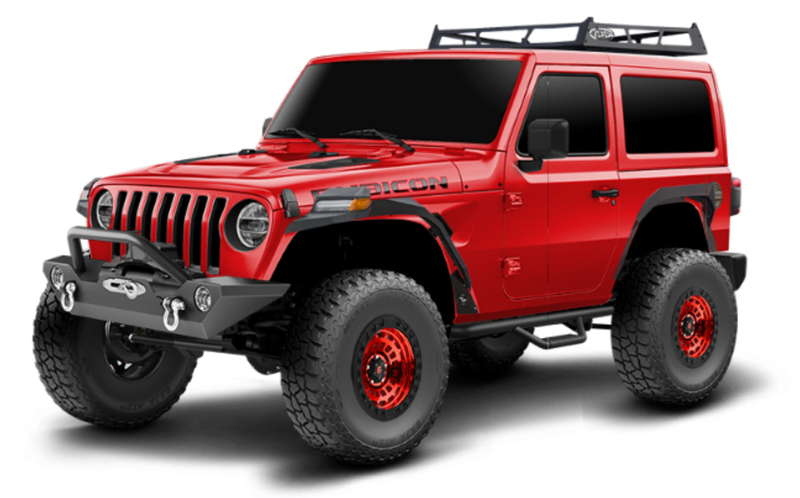 Over 220 wheels in total added to the JL’s…Boom! Over 3200 (yes that number is not a mistype) new accessories have been added to a variety of vehicles throughout your Interactive Garage software program. Pro Comp: Series 46 Wheels to all vehicles that Pro Comp has applications for. Fuel Wheels: Over 800 wheels added all vehicles, with a heavy upload to the Jeep JK’s and JL’s. 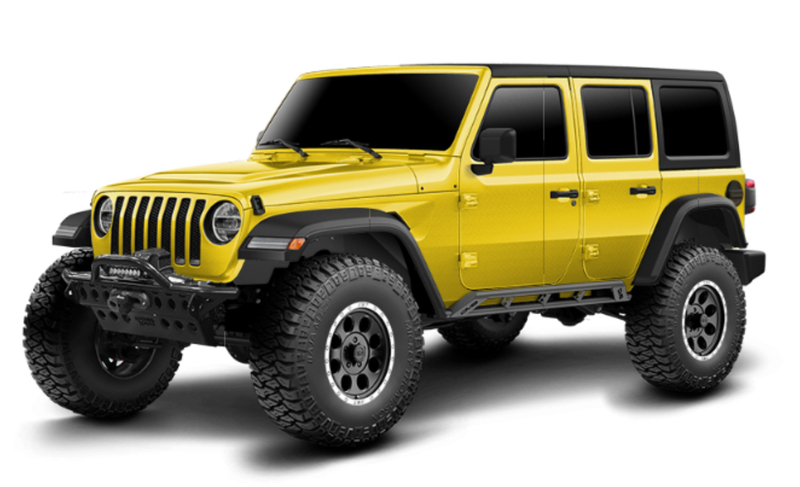 Mickey Thompson: New Offering of wheels and tires on ALL vehicles. TrailFX: 3″ Round Bull Bar in Black and Stainless, 3.5″ Round Bull Bar in Black, Black Titanium and Stainless Steel, and 3.5″ Round Bull Bar with LED Light in Black Titanium and Stainless Steel to ALL vehicles that TrailFX has applications for. N-Fab: N-Durastep, Nerf Step System, Podium Step, Predator Pro Step, and RKR step on JKU and 2014-15 Silverado and Sierra 1500. All applications of those steps coming soon to every vehicle on Interactive Garage. 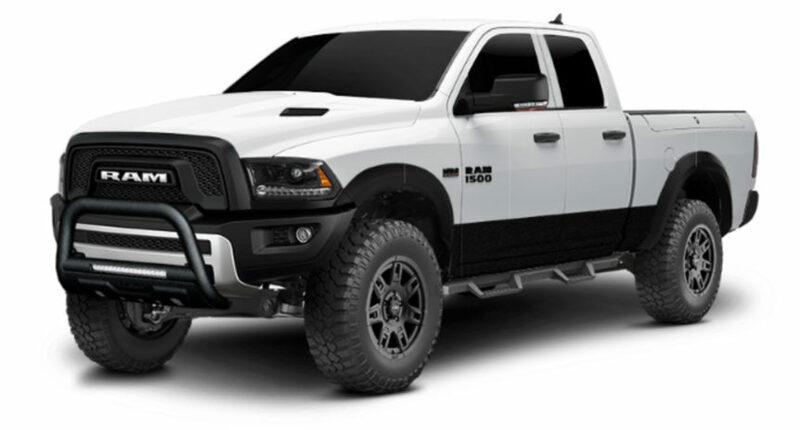 Addictive Desert Designs: Stealth Fighter Front & Rear Bumper on the 2019 RAM 1500. 7 offerings on those bumpers in total. – You can specify if a new vehicle is introduced by a certain OEM (Ford®, Chevy®, RAM®, Jeep®, etc) that they are always “Enabled”, our team will turn them on automatically every time one is added. For example, if your a Jeep Dealership or your business revolves around selling Jeep accessories, you can tell us to “Enable everything Jeep”. So no matter what Jeep is added to the program (Renegade, Grand Cherokee, etc) it will be “Enabled” as soon as it is released live to the public.